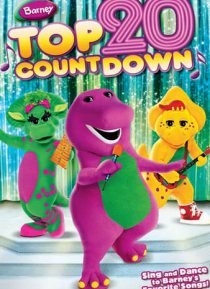 It's time to sing and dance to Barney's top 20 countdown of your favorite songs! Along with Baby Bop and BJ, Barney shows you how to sing and count at the same time and how to move your feet to some great beats. So grab a friend and sing along to some of the best songs like "One, Two, Buckle My Shoe" and the classic "I Love You." It's a musical adventure of learning and fun that the whole family w… ill enjoy.